When I was a child, if I ever got frustrated at doing something wrong my dad would tell me not to worry because I’d learned twice as much as if I done it right: I’d learned how not to do it as well as how to do it! He was right. Sometimes doing something wrong first makes the right way to do it far more memorable. I once watched a Year 6 pupil plot a graph of the temperature during one day where he had put the time up the y axis and the temperature along the x axis. I saw the confusion on his face when the graph line took an unexpected twist, but I said nothing and let him finish. Afterwards I asked him what he had done wrong. He wasn’t sure, so I asked him instead what he was sure he had done right. We reinforced the fact that he had chosen a sensible scale to draw the graph, that he had remembered to label the axes, that he had given the graph a title, that he had correctly read the information from the table, and that he had correctly transferred this information to the graph. I then asked him if he had done all these things correctly, what made him so sure that something was wrong. He twisted the page round and said “Because I expected the line to be this shape.” I asked him what he could change to make the graph the shape he expected it to be, and the penny dropped that he needed to put time on the x axis. I then made him redo the whole graph. I could have stopped him at several points during the session – when he first explained how he was going to draw the graph, when he labelled the axes, when he first realised that the point he had just plotted wasn’t where he expected it to be – and prevented him from going wrong, but is being told you are about to make a mistake as memorable as seeing the result of something you have done wrong and having to work out how to do it right? I don’t think so. If I had stopped him, I think it is possible he would have made the same mistake again in the future. At no point was he allowed to feel silly for making a mistake – just the opposite, I emphasised everything he had done right. As he was redrawing his graph he said, “Sally-Jayne, I’m never going to make this mistake again!” And do you know what? I don’t think he ever will. 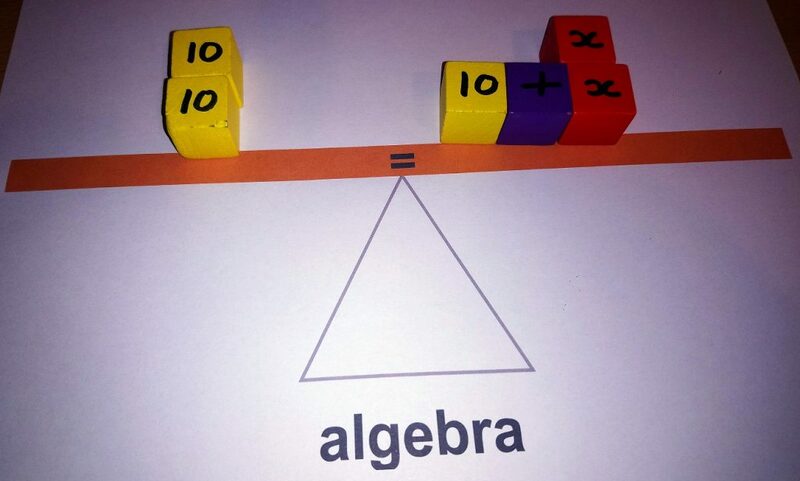 This is my lovely place value teaching tool. It was custom-made for me by my brother at Sen Clock and my dad. Prior to this I’d been using a paper sheet and laminated tokens, but I was fed up with them sticking together and getting lost. This magnetic version is much more practical. I find this really useful because we if stick the tokens to the board, children have visual proof that once there are 9 tokens in a column there is no room for any more, so if they wanted to add another One in, it’s time to exchange 10 Ones, which won’t fit, for 1 Ten, which will. Physically clearing out the column, exchanging 10 One tokens for 1 Ten token really helps them to understand what happens when I want to add 1 to 109. It’s great for subtraction too. When presented with – lots of children will try to do 3-1. 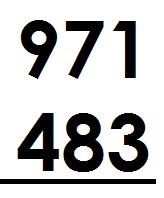 With this place value board, they can see that we only have one counter so we can’t take away 3. Then we can physically exchange 1 Ten for 10 Ones. 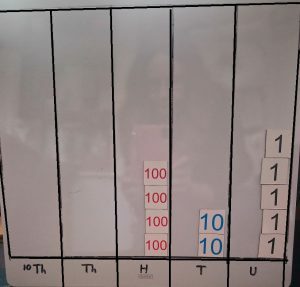 I’ve made the column wide enough to accommodate them and the children can then see that they have enough in the column now to subtract 3, and that the tens column has one less token than it had before. I find this works really well side by side with a written column subtraction to iron out any misconceptions and to understand how the written method works.